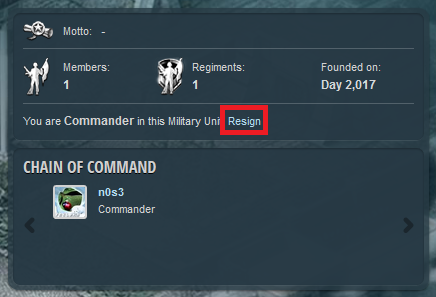 In order to leave your MU, navigate to your MU page (Community > My Military Unit) and click on the resign link. I just came back and am stuck in an MU by myself with no Commander. How do I get out?